Koh Kret occurred from the construction of a canal to be used as a shortcut to avoid a bend in the Om Kret branch of the Chao Phraya River in 1722. Due to expansions of the canal, the land finally got completely cut off from the other side and became an absolute island. Mon people use this Koh Kret Island as a refuge and dominated the central part of Thailand during 6th and 10th centuries. They have left some traits to prove their existence which one can see from i.e. Buddha statue and the pottery at Koh Kret. Koh Kret is completely different from Bangkok. On Koh Kret, people live in a rustic village with very simple life. They stay in wooden huts with palm trees nearby their homes. The temple at Koh Kret is very old, decadent and slowly falling apart. People normally come to Koh Kret to walk around and check out the merchandise in the pottery shops. Mon also has their own traditional Songkran Festival at Koh Kret, Amphoe Pak Kret. There are a caravan and traditional Mon shows to entertain people for one week after April 13th. Visitors can see Mon traditional dance which has been inherited for ages. The Mon classical Dancing usually accompanies with the Mon gamelan. This reckons as a very precious heritage to Mon successors at Pak Kret, Phra Pradaeng and Pathum Thani. 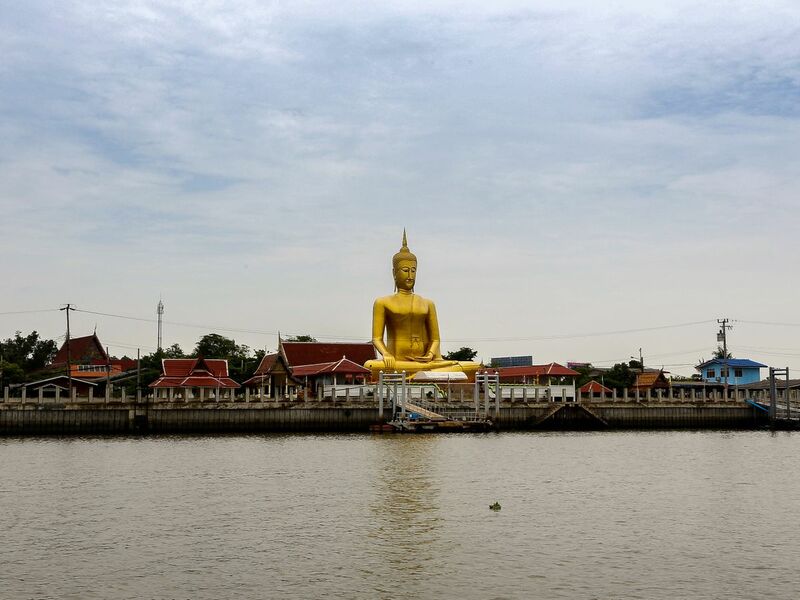 It is a really unique community within the one-day-trip reachable range from Bangkok city center. 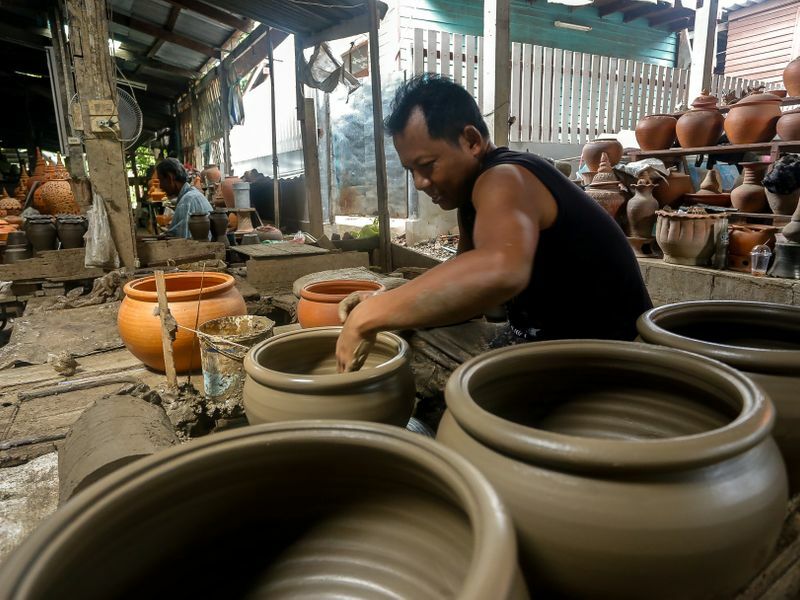 You will get to see and try some pottery workshop and Thai desserts house in the area. Lots of Thais would go there for rare traditional desserts and foods.